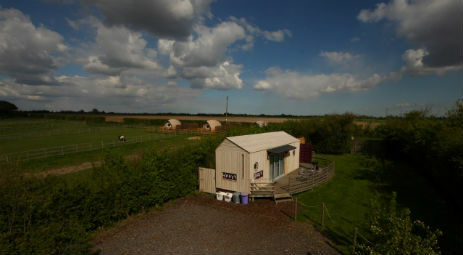 Enjoy a glamping and luxurious stay at Lee Wick Farm near Clacton-on-Sea in Essex in a CargoPod, the best way to glamp. It’s all things great and small at Lee Wick Cottages and Glamping in the north Essex countryside. 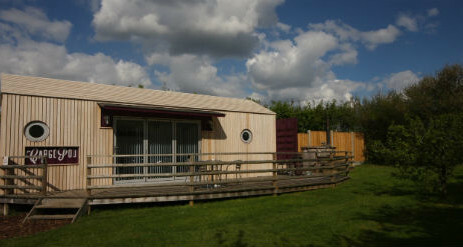 The site itself is petite yet pretty, perfect for families and couples and comes with one CargoPod and Megapods all with their own loo, shower and sea views! 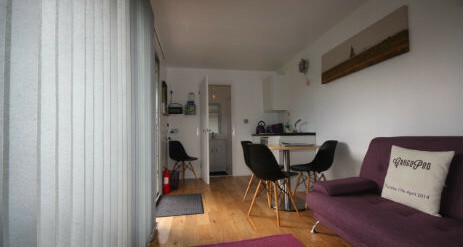 Could this be the only glampsite in the country where you can get a side order of spuds when you stay? – the farm focused on potato production before branching out into holiday cottages, touring and glamping, and spuds are still grown on site. Say hi to Robert in the farm office at the top of the lane, where he’ll often be found fulfilling his role of potato merchant. You might also find him around the Livery yard – Lee Wick Farm has stabling for around 12 horses, which should keep equine enthusiasts entertained. Or maybe you’d prefer to cast off instead at the farm’s fishing reservoir, or bag a free pass to the neighbouring Essex Wildlife Trust Colne Point Nature Reserve: the road beyond the farm leads directly to the reserve. The site welcomes well-behaved canine campers too. 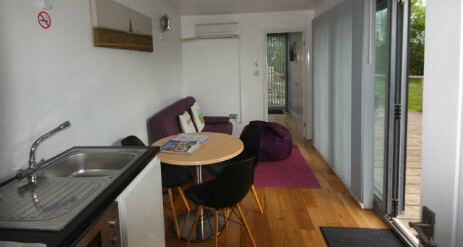 The CargoPod sleeps up to 4 people (double bed & a large sofa bed) in spacious and tasteful surroundings with sea views. Situated alongside our livery yard; a peaceful location away from the main farm, situated on it’s own in a small orchard, with plenty of space to relax. Pleasant walking and cycling opportunities around the farm and village. The concept is to bring your camping kit less the tent – so bring your bedding, towels and anything else you think you may need. Larger in size than our MegaPods, the CargoPod sleeps up to 4 people on a double bed in separate bedroom and a large double sofa bed in the living area. 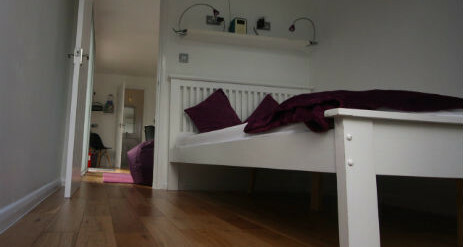 It’s situated on it’s own in a small orchard, with plenty of space to relax. A maximum of two well-behaved dogs are allowed in the pod. We cannot accommodate anyone under the age of 25 without a parent / guardian. Proof of age may be requested. 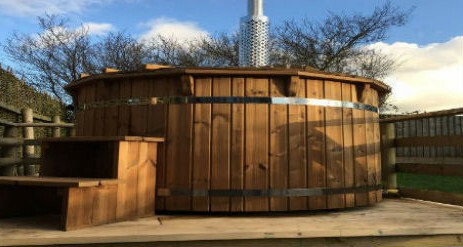 Additional log fired hot tub available to hire at/from £59 for 1-2 nights use, £88.50 for 3 nights use and £118 for 4 nights use. It is supplied freshly cleaned and filled with logs, kindling and 2-8 fire bricks (depending on nights booked).